My husband and I were thrilled to be expecting our 2nd child. We had a 6 week scan, which was routine at my OB and saw a strong heartbeat. Things progressed…I had horrible morning sickness, but told myself it was all worth it. At 11 weeks, we had an NT scan, and the heart rate was great, the baby measured 11w5d (on target, even a bit ahead.) He/she was not amused at being awakened…started wriggling and often putting its tiny fist to its mouth. The tech said growth looked good, and the results ended up being normal. We had a great Christmas. On the Monday after Christmas, I had my 12 week OB appointment scheduled. This was exactly 1 week after the NT scan. There had been a horrible snowstorm, and I thought the appointment might be canceled, but it wasn’t. I braved the 45 minute drive on the horrible roads, and got there. When the doctor tried to hear the heartbeat with the Doppler, he couldn’t find it. I laid on the table trying to reassure myself, because they had a hard time finding my son’s heartbeat around the same time of pregnancy, and he’d been fine. The doctor changed the battery out but still couldn’t find it. They said they’d schedule me for an ultrasound at 4pm the next day, a full 24 hours later. He said probably everything was okay, that I might have a tilted uterus. As the nurse was scheduling my ultrasound on the phone, she said, “No fetal heart tones found.” Another pregnant woman walked out and was scheduling her anatomy scan while I tried not to cry. After a sleepless night and a long day, I went in for the scan. The ultrasound tech was chatty and cheerful until she put the wand to my abdomen. Then she went completely silent. She kept the screen turned away from me and didn’t say anything. Afterwards, she said I could probably go home. Then she revised that and said I should wait in the waiting area. After a horrible 45 minutes of no one telling me anything (and it was now nearing 5pm, when my OB’s office would close) my OB called the front desk. He asked if anyone had talked to me then said that there was no heartbeat. He said something must have happened right after the NT scan, because the baby was measuring11 weeks. I never had any cramping or bleeding. 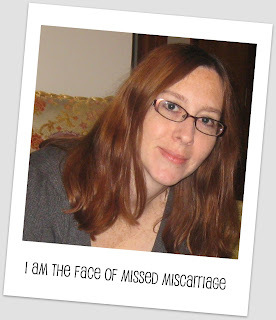 I even continued to have morning sickness, as though my body thought everything was fine. I had a confirmation ultrasound the next morning.This time, the tech didn’t point the screen away from me, so I could see the gestational age that the baby was at (11w3d), that there were flat lines when they graphed the heart tones, and that the baby was not moving, just limply there. In a way, it was both “good” (not the right word, but I wouldn’t want to have the procedure if I wasn’t sure) and horrible to see these things, but it did finalize it in my mind. My D&C was scheduled the next day in, get this, L&D. Why they do it there and not Gyn surgery, I don’t know. So, now I’ve been carrying my dead baby for several days knowingly. Just want it over with. I had to go to the “Birthing Center” to have it done though, which I thought was a cruel joke. I broke down crying as soon as I walked in, but they took me to a room quickly. I never saw any newborns, thankfully, but there was a woman in the next room on a monitor and I could hear her baby’s heartbeat pumping away, like my baby’s heart should have been doing. I thankfully had a good nurse and don’t remember anything from the procedure. I had requested testing on the fetus for chromosomal abnormalities, and they said they got a good sample and sent it off. They will also be able to tell us gender, which I have mixed feelings about. A death certificate was filled out. Practically all of my friends are pregnant or have newborns, so it’s difficult. The physical bleeding has stopped, but it will be a long time for the emotional healing. I had almost announced to everyone after my NT scan, but something stopped me. We’re still waiting on the genetic test results. I just keep thinking why me? Why our baby? What did I do? Why am I left behind while everyone else has their babies? I feel so empty. I'm sorry for your loss.I too lost a baby at 11 weeks.This was back in 2009. Exactly on 11 weeks I started camping and spotting.I rushed into the doctors and they turned that monitor on and I heard nothing. I already knew. They said the baby measured at only 9 weeks.I couldn't hold in my tears I left the office crying and scheduled my D&C for a few days later. I too ask myself over and over why me?What did I do wrong? It was a emotional roller coaster for me and my husband because this is our 3rd loss in two years. But there is one thing you should know.You didnt do anything wrong.It took me a long time to convince myself that.There are never the right words for something like this.I have also learned that. But there is one thing I take with me from my doctor.Grieve as long as you need to,cry as long as you need, scream if you have to.You have every right but also remember your not alone.Your never alone.As sad as it is there are thousands of us out there that know exactly what your going through.We have you in our thoughts.